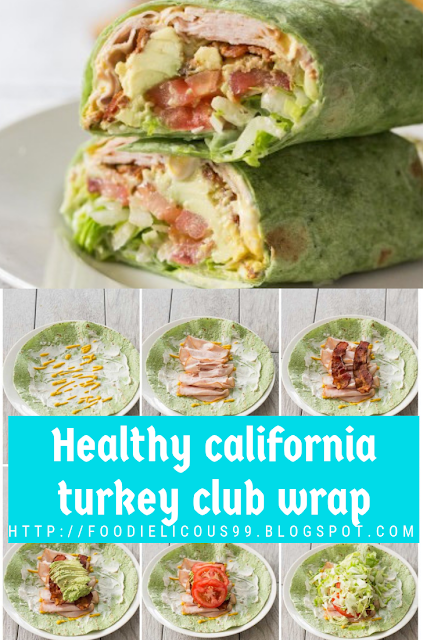 Assemble the turkey wrap via layering in the order the elements are listed. Wrap, reduce, and serve. Will keep wrapped in saran wrap for 3 days in case you are making it in advance for lunch for the week.